The Eurozone recovery is gaining traction, but the economic outlook is still dogged by serious concerns. One such worry is inflation, which remains well below the European Central Bank’s (ECB) 2% target and has been falling with a looming risk of deflation.Discover in this document : Which countries are most likely to be impacted? Which firms and sectors will be impacted? 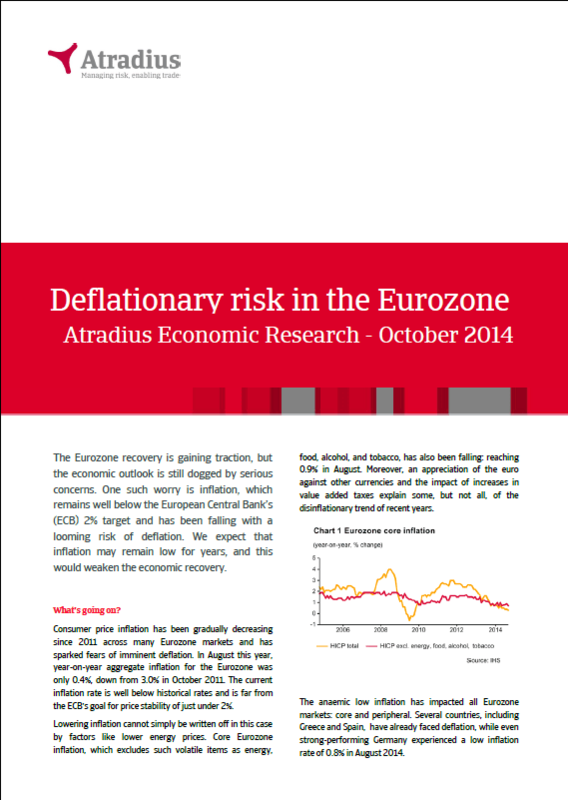 What can be done to mitigate the risk and impact of disinflation?